Hello there my inky Friends! 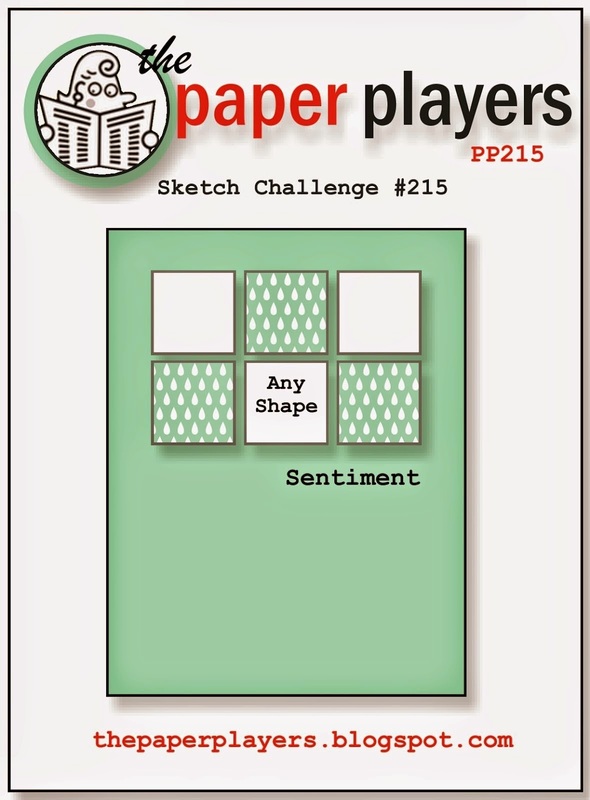 It's Sunday, time for another Paper Players challenge, and this week I have the pleasure and honor to be hostess! 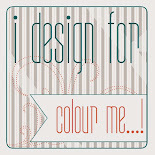 I hope you like my "inchie" layout, and that you'll find time to play along with us! Never satisfied with my own work, I made two cards with this layout, one in portrait and one in landscape. 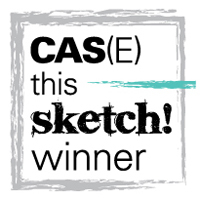 I decided to post my CAS portrait version today as I thought it was more true to the original sketch, but tune in tomorrow if you want to see the landscape version! 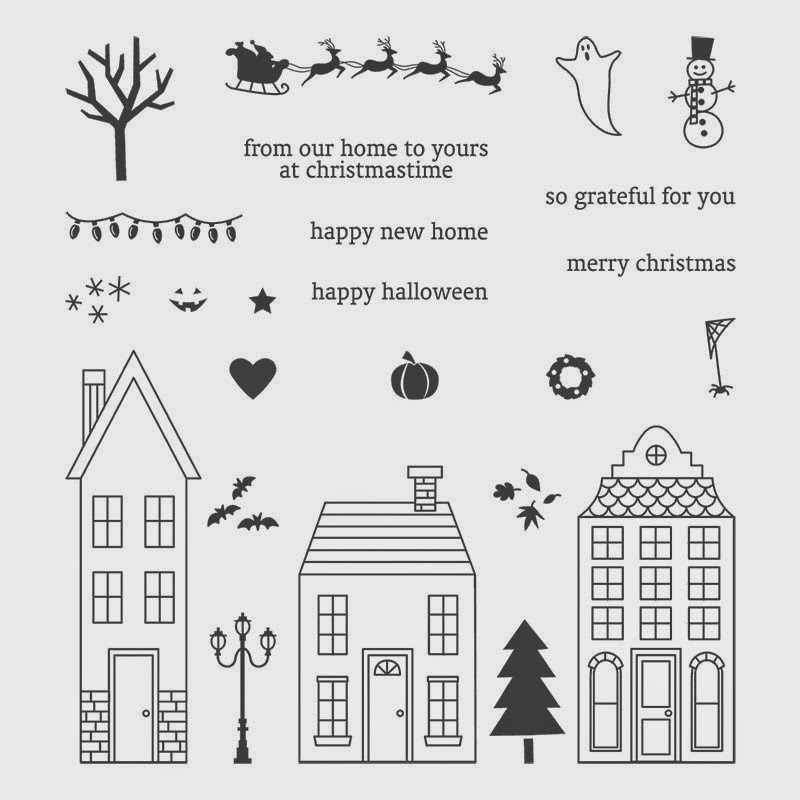 Though I have an entire Pinterest Board dedicated to the Holiday Home Stamp Set, it has been sitting on my shelf for a while uninked. Though I didn't use any of the larger images today, I though the bitty ones would work well for this layout. There are so many tiny and adorable pieces to this set, and the fact that they are photopolymer makes them a breeze to line up. However, I must issue a warning! They are super sticky in a good way, but don't leave them unattended! Put them right onto your block, clean and put away. Otherwise, a tiny stamp may wind up attached to your package of black card stock for weeks, as did mine! Please visit the rest of the amazing team at The Paper Players! 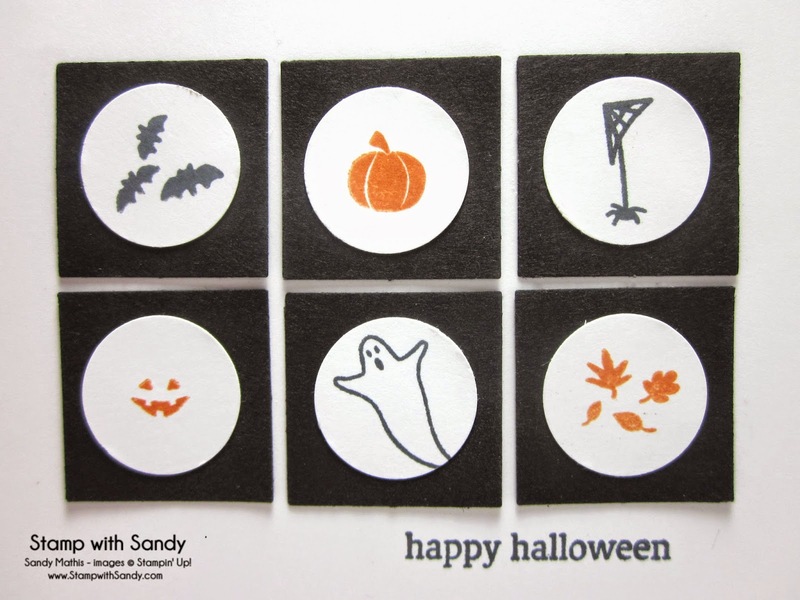 Super cute card, Sandy! 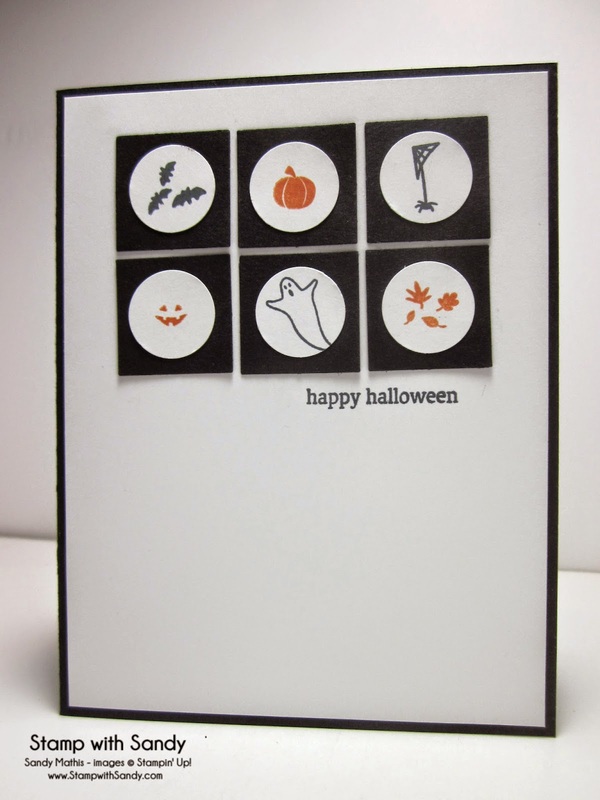 I love how you used those tiny stamps! 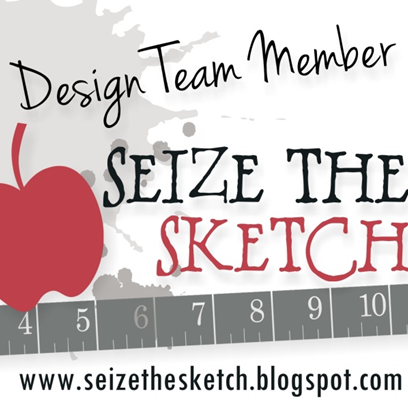 This is so fun, and was a super idea for your sketch. I just love looking in the circles at the cute images! What a cute way to use this set, Sandy!! 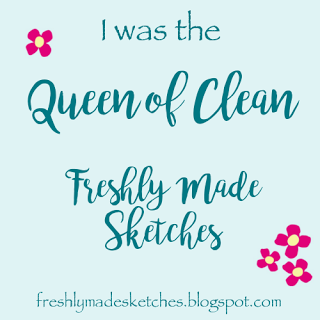 Love all those bitty images--they are perfect for your awesome sketch! Love the way you used these tiny images for this week's sketch. Your blog post made me smile - I was making a project with this set last week and kept loosing the little stamps amongst the clutter on my desk. I must learn to be tidier! Thanks for a great sketch this week - love it! You already know how much I LOVE this card...seeing it here just made me grin! Can't wait to see tomorrow's version!!! I LOVE THIS SKETCH! Well, I have to admit the tiny stamps are very intimidating to me but I love how you used them. It really highlights the versatility of the stamp set. Terrific card! Great use of the itty bitty images! Nice CAS card! Sandy, such a great use of this set. I can't make up my mind whether I prefer the horiztonal or vertical... they are both fabulous. I really hadn't thought about this set when I saw the sketch... awesome.